❗️This March there’s a battle going down, and YOU will be able to choose the winner. 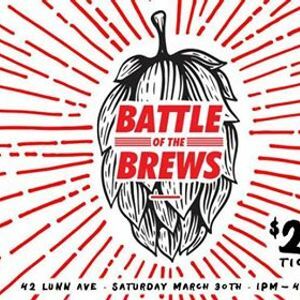 Twelve breweries are coming together and bringing eleven brews to the table, in Fine Wine Delivery Co.’s Battle of the Brews tasting. ?Each brewery will be bringing a limited edition, pre-release or exclusive beer to the tasting for all you lucky lot to try! 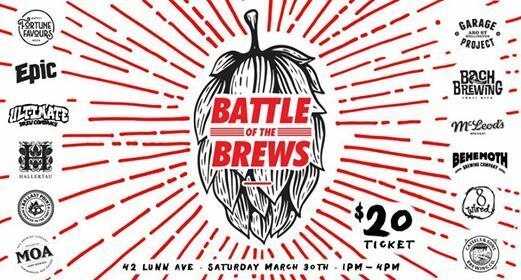 Taste your way through all eleven beers and enjoy an iconic Fritz’s Weiner for just $20 a ticket. At the end of the tasting, it will be up to you to decide what you want to see on our taps. Vote for your favourite beer, and the People’s Choice winner gets a permanent spot on our taps for the month, so you can come back and keep getting more of the beers that you love! ⏰Saturday 30th March, 1-4pm – go at your own pace and walk around chatting to brewers and reps from some of NZ’s best and newest breweries. ?Accompanied by Fritz Weiner Sausage! Only 100 tickets available, don't miss out on this unforgettable afternoon!